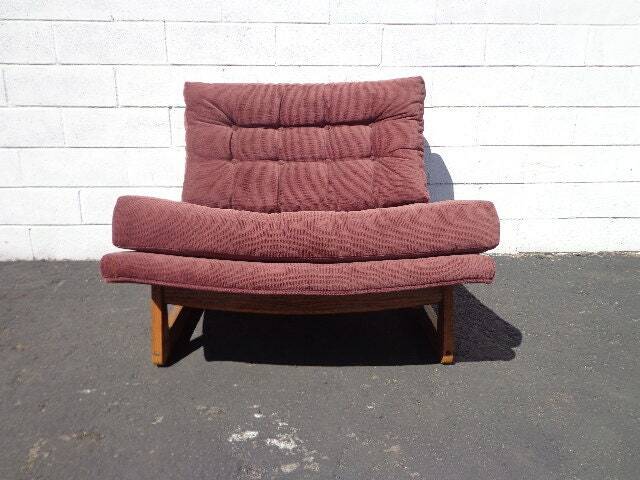 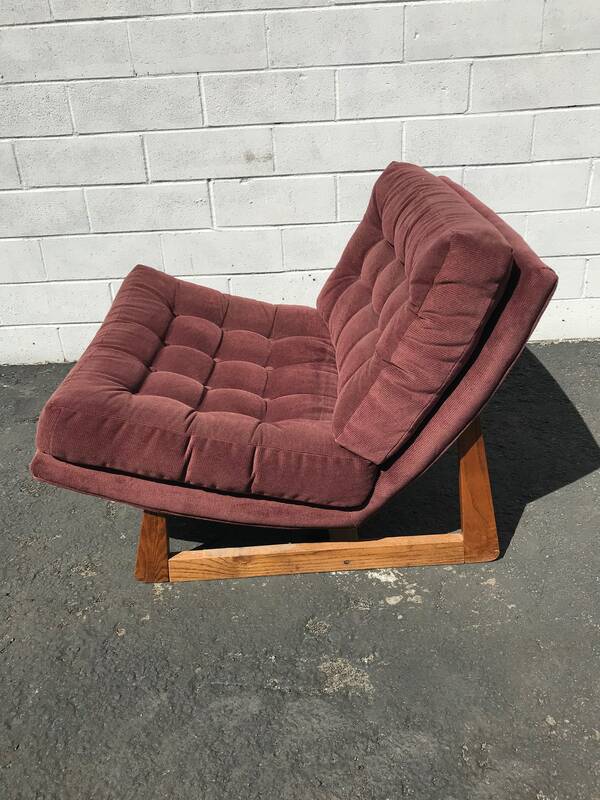 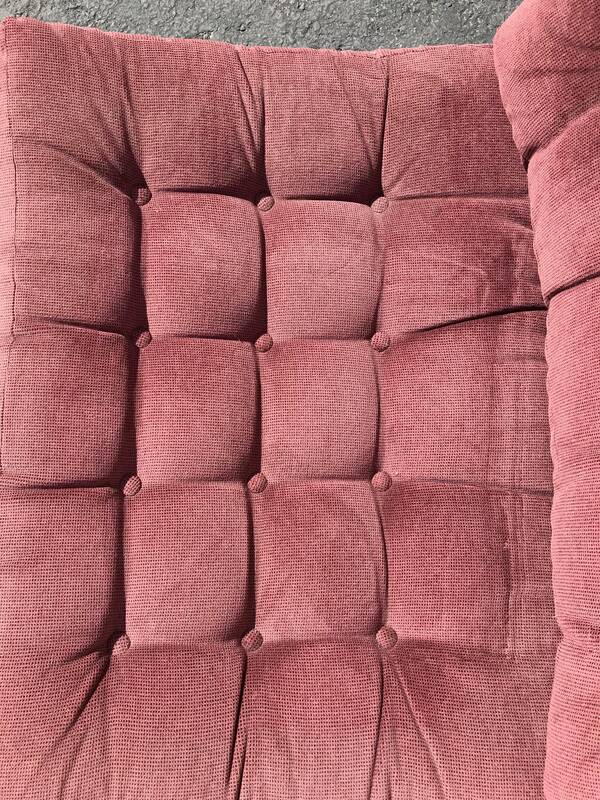 Awesome vintage tufted mid century lounge chair by Adrian Pearsall. 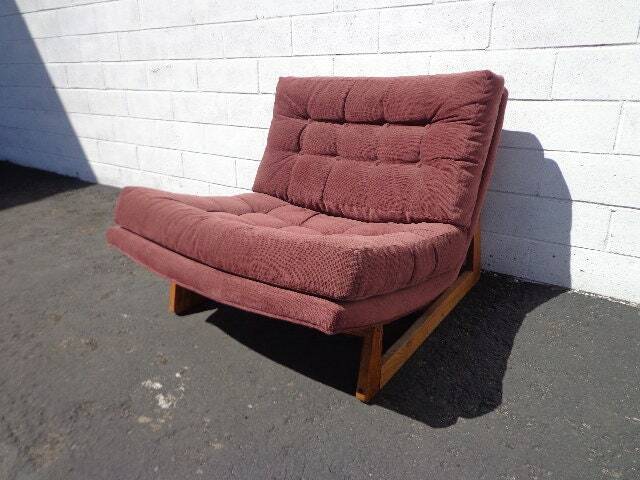 Features an unusual frame and the original upholstery. 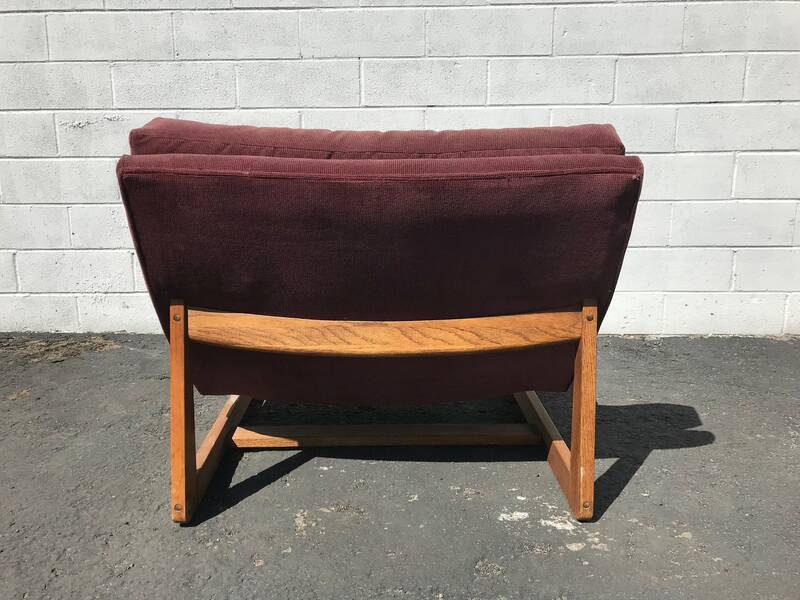 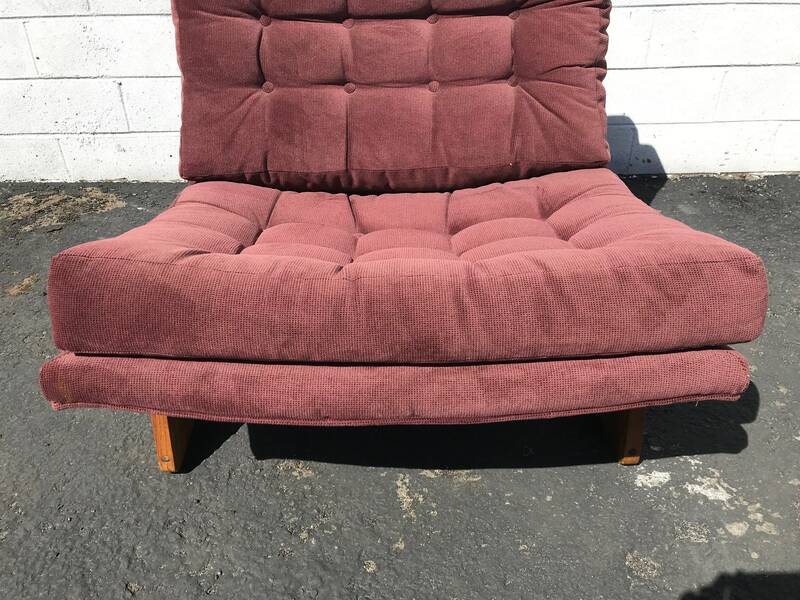 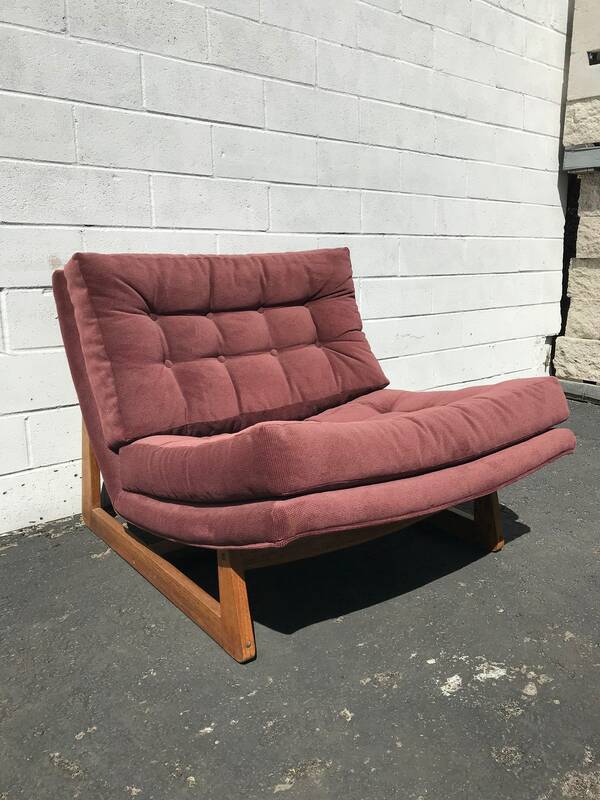 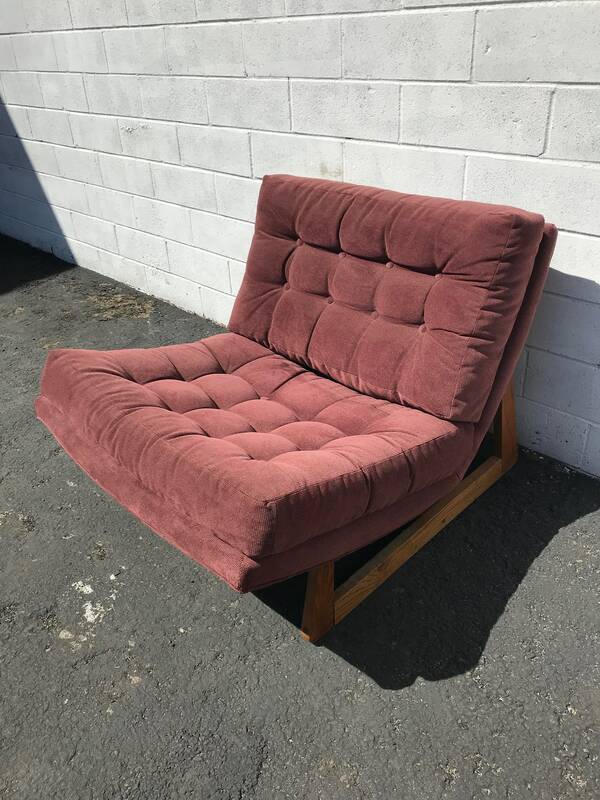 This is a classic mid century modern lounge chair and will go perfect with many different decors from MCM to Hollywood Regency. 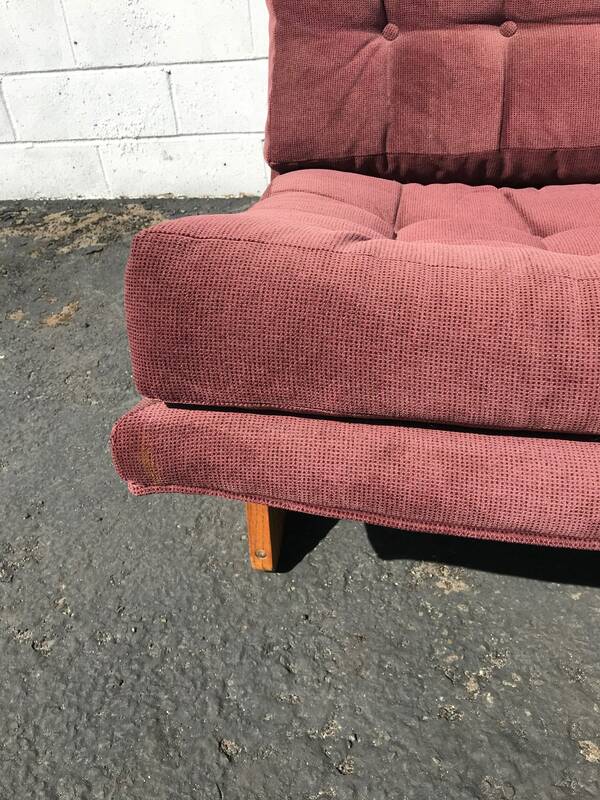 Overall good vintage condition, shows wear on the wood frame and the fabric. 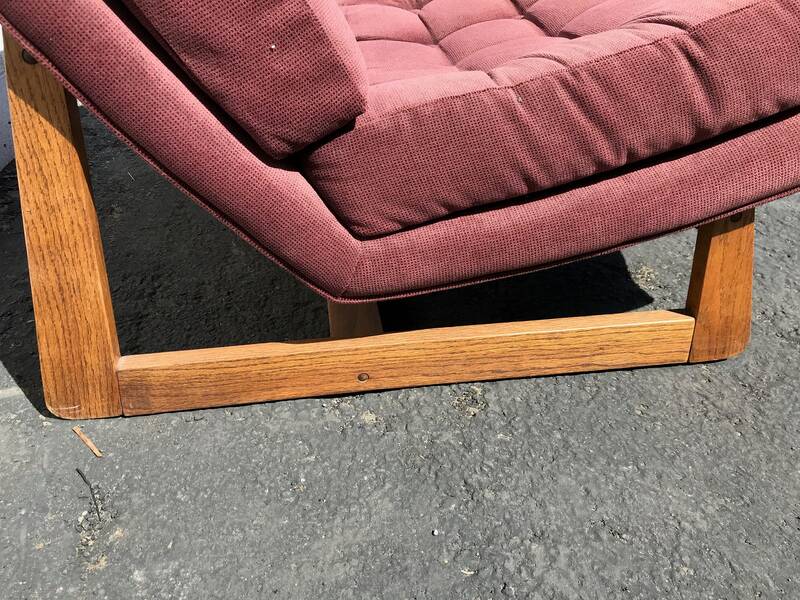 The frame is solid and sturdy.